Rothenberg Report: PA-GOV now "tilts Democratic"
Governor's recent performance in public polls has punditocracy picking Democrats in the election cycle. It's not very often that the party out of power encourages the incumbent to seek re-election, but that's the case in Pennsylvania. Republican Gov. 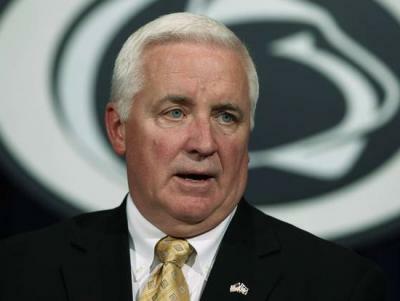 Tom Corbett's polling numbers have sagged to the point where Democrats are excited about their opportunity but nervous he will retire, thereby allowing state Republicans to find a potentially stronger nominee. This is a big deal. It's not often incumbents are on the wrong side of the insiders' prognostications. They're usually pretty dang conservative in their predictions, believing that incumbency gives candidates huge advantages. Which is generally true. While it is uncommon to classify any incumbent governor as an underdog at such an early point in the cycle, Corbett is a rare case: His numbers are dreadful, and he seems to us to be a particularly maladroit politician, prone to painful gaffes, who is also probably too conservative for his state. As the Rothenberg Report's Nathan Gonzalez notes, Corbett's numbers are so pitiful, and scorn for him so universal, that Democrats are crossing their fingers he stays in the game. How often can you say that about an incumbent governor?